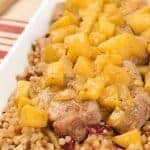 This spicy-sweet pork dish is inspired by the flavors of Caribbean cuisine. 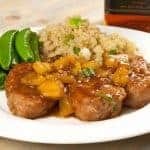 Topped with a pan sauce made with dark rum, brown sugar, soy sauce, ginger and fresh pineapple, these quick-cooking medallions of pork tenderloin are pan-seared to tender perfection. To round out a quick and easy meal, serve alongside Quinoa with Scallions (recipe included below) and fresh sugar snap peas sautéed in butter. 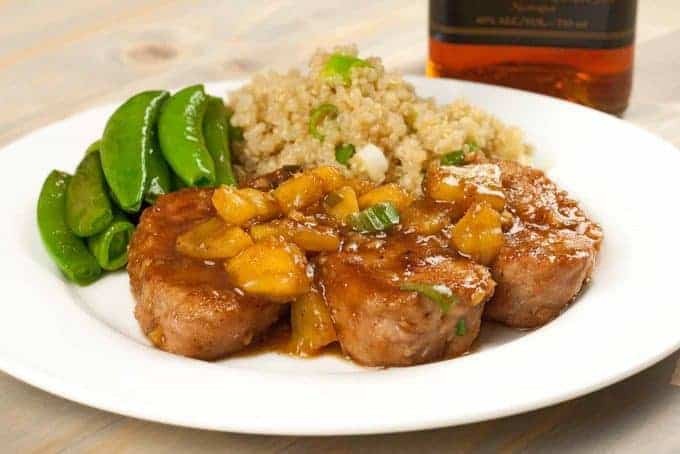 Tender medallions of pork are seasoned with cayenne, cinnamon and allspice, pan seared and served with chunky sauce of dark rum, pineapple and ginger. 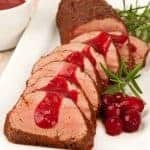 Trim any excess fat and silver skin from the pork tenderloin and cut it into 3/4-inch thick slices. Combine the flour, cayenne, cinnamon, allspice, salt and a few grinds of black pepper in a shallow dish, reserving 2 teaspoons of the mixture for later use. Dredge the pork slices in the flour, shake off the excess and set aside. Combine the rum, sugar, soy sauce and rice vinegar in a microwave-safe measuring cup, heat for 30 seconds on high, then stir until the sugar is dissolved. Set aside. Heat 2 tablespoons of vegetable oil in a heavy skillet over medium-high heat and add the pork in a single layer. Cook until lightly browned, about 1-1/2 to 2 minutes per side. Transfer to a plate. Heat the remaining tablespoon of oil over medium heat and add the garlic and ginger. Sauté until fragrant, 1 minute. Sprinkle with the reserved flour mixture, combine well and continue cooking until the flour is golden in color, 2 minutes. 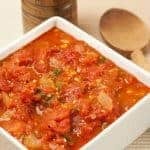 Add the rum mixture along with the pineapple (including the accumulated juices) and continue cooking, stirring frequently, until the sauce has thickened to a syrupy consistency, 2 to 4 minutes. 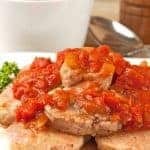 Return the pork medallions to the pan and cook to desired doneness, about 2 minutes additional, turning them several times to coat thoroughly with the sauce. Serve immediately. Cook, stirring occasionally, until the quinoa is tender and most of the broth has been absorbed, about 12 minutes. Stir in the butter and sliced scallions and season to taste with salt and pepper. Remove from the heat and allow to stand for 3 minutes. Serve.